Propolis is a resinous mixture of substances collected by honey bees from certain plants. We recently obtained stingless bee propolis from Thailand and Indonesia. To assess their potential utility, we analyzed the composition of these stingless bee propolis. Thailand propolis was from stingless bee species, Tetragonula pagdeni, from a mangosteen orchard in Chanthaburi. Nine prenylated xanthones were isolated from propolis and their structures were determined using high resolution electrospray mass spectrometry (HRESIMS) and NMR. These compounds were previously isolated from the pericarps of Garcinia mangostana. Therefore mangosteen fruit was paid attention. Comparative analysis of the 70% ethanol extracts of Thailand stingless bees propolis and the yellow resin from the fruit surface of Garcinia mangostana was performed using reversed-phase high-performance liquid chromatography coupled with HRESIMS. The extracts showed the similar chromatographic patterns. In conclusion, we suggest that the plant origin of Thailand stingless bee propolis is the yellow resin from fruit surface of G. mangostana1. Indonesian stingless bee (Tetragonula biroi) propolis was collected on South Sulawesi. We isolated four new compounds and nine known compounds from the propolis. Moreover, some of the isolated compounds were tested for xanthine oxidase inhibitory activity. As a result, one of the isolated compounds showed potent XO-inhibitory activity, with an IC50 value of 3.9 mM. This IC50 value is close to that allopurinol, which is used as anti-gout drug. Ishizu E, Honda S, Vongsak B, Kumazawa S (2018) Identification of plant origin of propolis from Thailand stingless bees by comparative analysis. Natural Products Communications, in press. ISNAD KUMAZAWA, Shigenori . "Chemical Profile and Botanical Origin of Stingless Bee Propolis from Thailand and Indonesia". 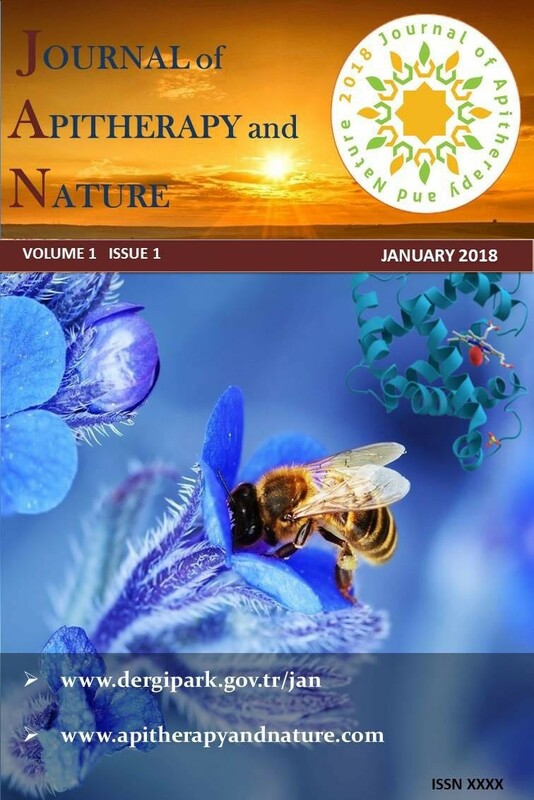 Journal of Apitherapy and Nature 1 / 3 (December 2018): 6-6.